school gardens, kids and learning! Thanks to Rick, Karan and Rob at Willamette Graystone for their support of our goal to connect kids to fresh vegetables. Just as the summer gardening activities are winding down, the school year brings on a new momentum and subtle encouragement to plan for the winter. What’s the after school garden club been up so far? – Making Salsa… All the ingredients were in the garden just needed the buy the chips. The kids now expect food at each class! 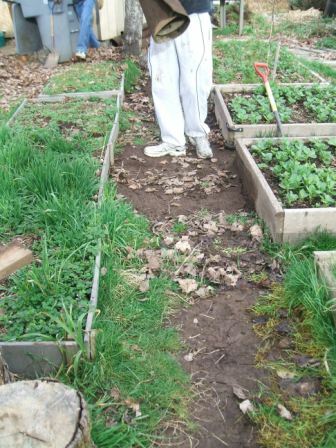 – Clearing a “past due” bed of sunflowers and digging the soil to turn in compost. Then broadcast sowing of fava beans (unfortunately found out they had weevils!) and vetch (for good luck). – Digging potatoes with the plan to cook them on a rainy day. Upcoming Plans for Garden Club and Open Garden Hours on Mondays 5-6pm. – Harvesting dried seed from flowers around the garden to make our own flower seed mixes. 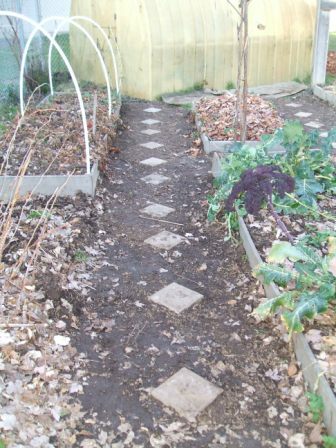 – Covering our lettuce bed to make a small cloche to help them grow through the winter. 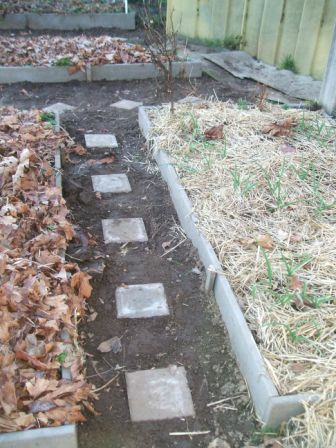 What are you planning for your winter garden? School Garden in the News Again! Learn about Garden happenings and neat stuff! (1-2 emails/month) Subscribe to our newsletter! 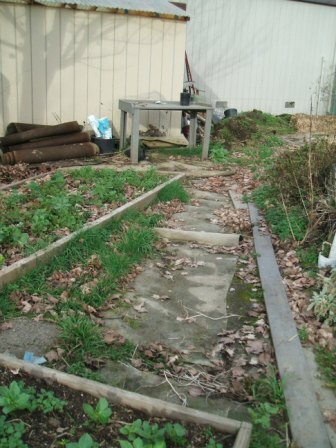 KEZI 9 News Video – Garden helping to keep kids healthy. Succes in school districts for gardens!